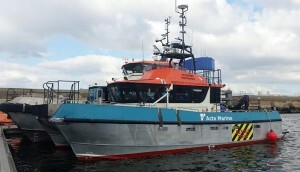 For the second year running, two of Acta Marine’s DP Multicats have been called up for duties on the Zohr natural gas project in Egyptian waters. Acta Marine’s 2209 Multicat Coastal Warrior has started work supporting a port construction project in the port of Kamsar, Guinee. 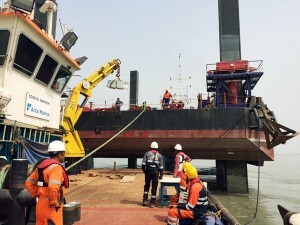 The 22-metre long vessel will be performing support duties for a number of jack-up barges carrying out offshore construction works for a jetty extension contract within the port. Acta Marine Wind Services currently has three Crew Transfer Vessels working on a long-term project at Réunion Island in the Indian Ocean. 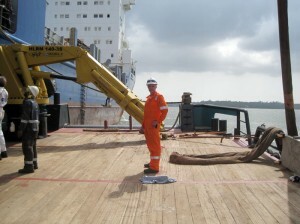 Offshore Performer has recently started a contract for a dredging and construction company in Morocco. 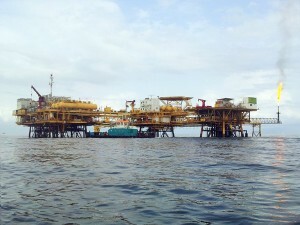 Coastal Saga has been contracted to support a gas production platform called Mibale. 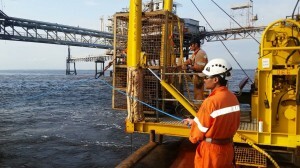 During the first days of the project, the vessel had to position two mooring buoys in the Republic Democratic of Congo, within a 30 meters range of the production platform. 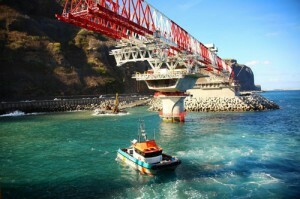 During this 43-day project, the Coastal Saga once again exceeded the customer’s expectations. 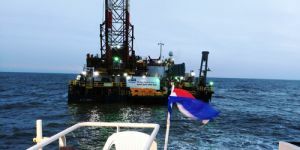 The Coastal Discovery and Coastal Voyager execute several operations to replace an oil export pipeline in Gamba. 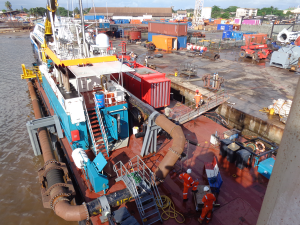 The Coastal Guardian was deployed in Kenya for dredging operations in the first phase of the construction of a container terminal. The Multicat 2209 Coastal Guardian is currently operated during a project in the 163 kilometer long Suez Canal. The Coastal Fighter is operated as support for Single Point Mooring (SPM) and Floating Storage and Offloading (FSO) in Cameroon.